We received a phone call recently from one of our customers about a domain name renewal solicitation they received. It looked legitimate until you read the cleverly hidden small print. These “domain name renewals” are notifications that may be sent to you by U.S. Mail, fax or perhaps by email. These mailings are unsolicited and from unscrupulous domain registrars that are attempting to trick unwary domain owners into transferring their domain name to their services. They begin their letter announcing that your domain name is about to expire and you need to renew. These companies typically mark up the cost of the domain significantly beyond the market rate of domain names. As soon as you send a check or credit card payment, your domain name registration transfers to this company and you will pay additional costs. One recent mailing we received was from “Liberty Names of America” which has been given an F rating by the Better Business Bureau. Please be wary of any notification you receive from someone who is not your current domain name registar. If you are not sure, contact your website host. 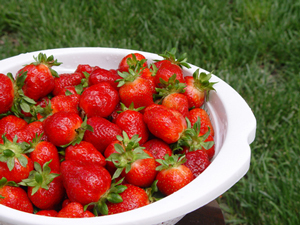 There’s nothing better than fresh, hand-picked strawberries. Aaaah…it’s that time of year again. 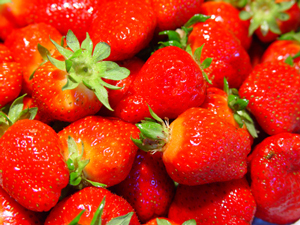 Fruit so sweet it’s like eating candy…only with a lot less calories. I’m only hoping I don’t eat them all before making jam and a few strawberry margaritas. Here are some tips for storing, freezing and cooking.